The first step is to remove all the excess water from your floor. You will not be able to make any repairs to your floor until the surface is completely dry. If you own a wet vacuum, you can use it to remove the water. If you do not, you should consider hiring experts like Water Extraction Sydney based team that provides such services. You also need to place fans in the water-damaged area to dry the water faster. Placing dehumidifiers in the area is another good idea because they will get rid of moisture in the air. Some floors such as hardwood and laminate usually get back to normal after drying. However, in some cases, you might need to do more work to repair your floors. Does your floor look damaged once you finish removing the water? You have to replace it. You need to use a saw to cut into the affected parts. Do you have hardwood floors? The holes should give you an idea of where to put in the pry bar. You can use a pry bar to remove the damaged parts of the floor. When dealing with laminate flooring, you need to start removing boards that are closest to the wall. You might even have to remove some boards that are not damaged to get to the damaged ones. As soon as you remove the damaged parts of the floor, you need to inspect the condition of the subfloor. If your subfloor is made of plywood, you will have to replace the damaged areas. All you have to do is saw through the damaged bits then fill in the holes with some new plywood. However, if you have a concrete subfloor, you need to dry it completely before you replace the floor. To dry up a concrete subfloor, you should use dehumidifiers and fans to get rid of excess moisture. If your floor is made of laminate, you have to snap some replacement boards in place before reinstalling the rest of your floor. You might have to place a new pad beneath the damaged areas before replacing the floors. 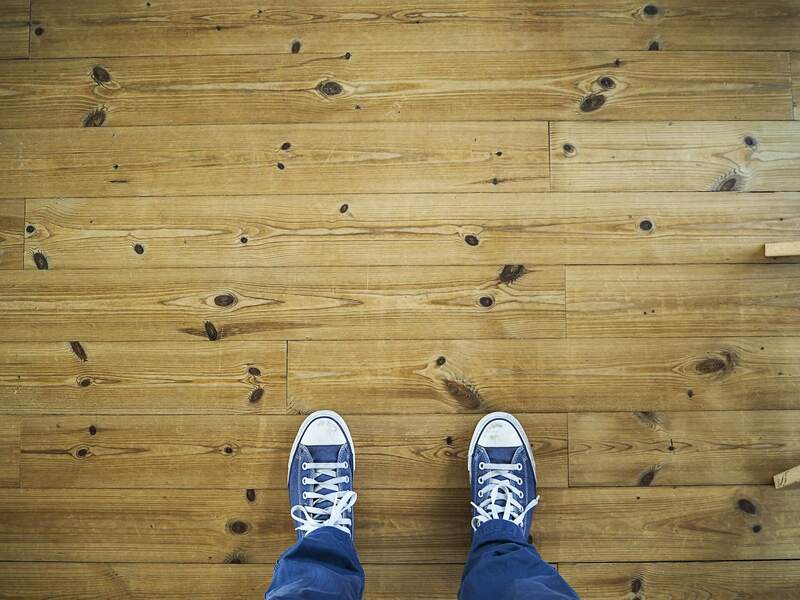 To ensure that your floor looks as good as new, you need to find an exact match of your old floor. If your floor is solid wood, you can put in raw wood then refinish the entire area to match everything else. Once you place the new boards in their right position, you should use a hammer to nail them down so that they do not pop. You should rent a sander and use it to smooth out your new and old floors for a better-looking finish. After you do this, it will be easy to vacuum away the dust. You should also mop your floors before proceeding to the next step. You can now stain your new floor to match the old flooring. Before applying a second coat, you should allow the first one to dry. Once the two coats dry up, you can apply several coats of polyurethane finish to the floor. As soon as the finish dries, your floors will be ready to use.